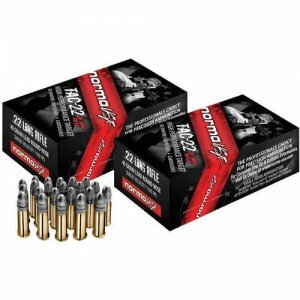 SUBSONIC .223 Remington-55gr FMJ - Detroit Ammo Co. : Detroit Ammo Co. 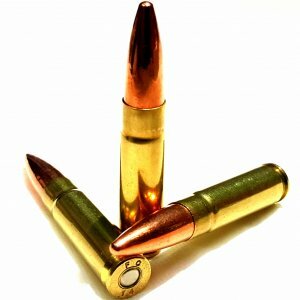 This ammunition intentionally does not cycle the action, for the ultimate in quiet shooting. Each round must be manually ejected. 16” barrel rifles will function differently with subsonic and super sonic ammo. If you are unsure how your rifle will perform please check with the firearm manufacture. 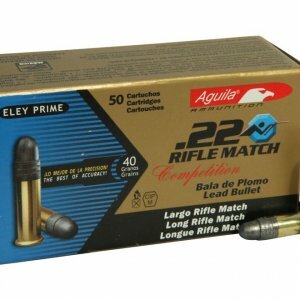 This specialty ammunition is perfect for younger and smaller framed shooters who are learning to shoot their family’s full size hunting rifles, seniors who have become recoil sensitive due to age, persons who only have access to indoor shooting ranges that do not allow high powered rifles because of the noise they generate that echoes off of the walls or fear that the bullet will generate so much power that it will pass through or tear up the backstop. It can be fired on smaller plots of land that are safe for firing handguns but where a miss with a rifle bullet would likely travel beyond the property, or the use of a full powered rifle load would disturb nearby neighbors. It is a perfect round for ranchers to dispatch varmints and predators such as coyotes or bobcats that prey on young calves and small livestock, with a reduced chance of scaring larger animals into a stampede. 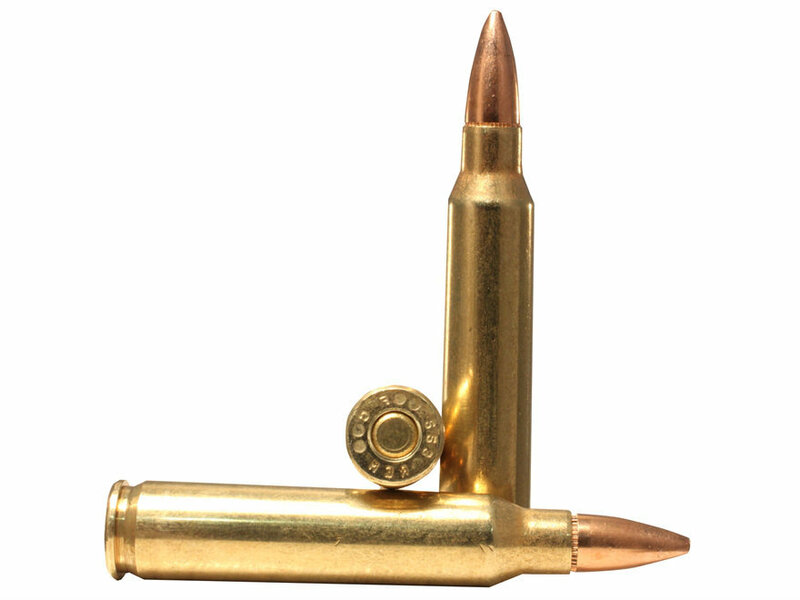 Subsonic .223 is also the rifle cartridge of choice for military and law enforcement tactical professionals as well as civilians in over 35 states to use with suppressed firearms because the bullet does not reach or exceed the speed of sound and does not create a loud sonic boom as it travels. This relatively innocuous cartridge, with its low recoil and report will serve many shooters, new or experienced, young and old with an alternative target and varmint round to the loud supersonic standard .223 cartridges and at a price you can afford. Hello, I just wanted to give my opinion of the subsonic .223 I ordered back in July. I was on a military deployment in the Middle East but home now and finally got to try it out. First the Ammo is overall perfect, through my suppressor it’s quieter than my .22. My only complaint and reason why I have not ordered more is that the load does not have enough power to cycle through my AR. I have the rack the charging handle after each shot which get a little annoying. I wanted to share my experience to help in your product quality. I really love this product. The product is extremely quiet and I felt no recoil! 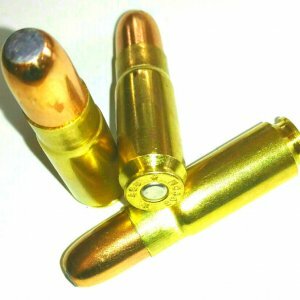 Awesome quality – hushes my unsupressed rifles to .22LR levels, and from a can it truly is “hollywood quiet”. Keep up the good work, Detroit Ammo! Purchased this with the understanding that I could shoot my 5. 56 with a suppressor and it be super quiet. 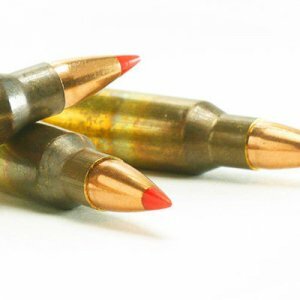 Believe me it is super quiet but did not know that a 5.56 is not designed to cycle subsonic ammunition with a suppressor. Not the ammos fault, its the gun manufacturers fault. Switching to a 300 blackout but will still use this ammo till it runs out. Couldn’t be happier with the service and shipping speed was fabulous. Great round shoots well excellent grouping at 100 yards was quiet worked flawlessly. Exactly what I was wanting, and got to me fast. Definitely, for a bolt gun but it is amazing quiet. 25 meter zero out of a AR15 with a 1/7 twist, it grouped very well. Pricing for the four boxes I purchased was not unreasonable, along with shipping. Also, it got here quite fast. Exactly what I was wanting. I purchased 100rds of subsonic .223. Shipping was fast. The round shoots as expected. The round does drop while shooting suppressed. But that is normal. Will buy more. Clean, brass, accurate, quiet. Does not cycle reload, as expected. Only 15 rds so far and no problems! Will buy again! I was totally surprised with the round. It is the first and only true subsonic round I have found. I am very happy with it. I will definately buy more. Using these on a 10.5″ Aero upper with GA Spartan 3 556 can and they sound awesome . I wanted something to play around in the back yard and these work great. 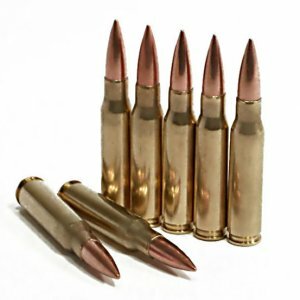 To the people wondering, these do not cycle in a AR rifle, I knew that when I bought them, perfect for backyard varmint control. Super quiet and no issues out of the first 90 I’ve shot. I just bought 120 more to put up, also bought their 308 Subs but still waiting for my YHM Phantom 762 to be unlocked. I’ll review those when my can comes in. 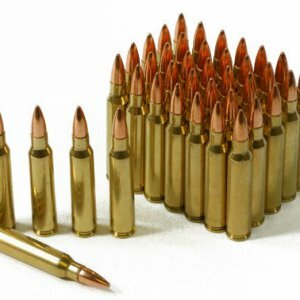 I’m very impressed and happy with Detroit Ammo so far, these guys provide great ammo for a fair price and fast shipping. 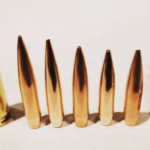 If your looking for Reliable Subsonic ammo this is your shop! Detroit born and raised living in Florida. Recently purchased 223 subsonic. Could not be more pleased with the quality of the product. Per box price is what others charge for 20 rds. Clean burn and fps is right at stated value. Will purchase more as is the best value. This stuff if unbelievably quiet! Product as advertised. Reasonably priced too. Recommend. Just fired 30 of these from my suppressed .223 and the only sound was the action of the gun and the round hitting the target. They did not cycle the gun which is what I look for in a quiet round for my AR. I will be buying more. Would like to also try some soft points if they become available. 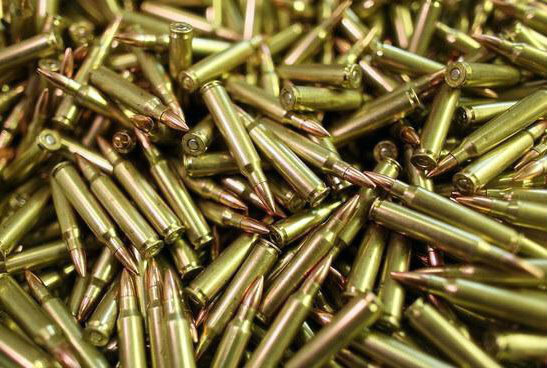 Love the 55grn 223/5.56 ammo. Shot in an AR platform pistol no recoil low noise. A tad dirty, but most subsonics are. Will buy more. I was looking for some ammo to run through my new can before I started to load my own, worked good, wouldn’t cycle in my piston gun but that was what was expected, happy with the purchase. Purchase a box of 30 to try out, no misfires at all. Did not cycle my suppressed rifle as I expected and wanted. Super Quite and on target. Absolutely amazing!! I never dreamed my AR could be so quiet. Will be purchasing again and again. Finally was able to shoot these and I was blown away by their performance. I will definitely purchase more and will recommend to others. They are without a doubt quiet, even shooting without a suppressor on. With the suppressor I think my pellet gun is louder. Thanks for putting out a good product, and please continue to produce a quality round. I have a Tavor with a YHM Phantom Suppressor. I test fired several rounds through it and I must say. I have heard pellet rifles louder! Great subsonic round when firing suppressed. Just wish it would cycle the bolt. But it was still wicked Kool!!! Thank you guys for making a great product. The 55gr .223rd performed exactly as promised. Another accurate, quiet, quality product from this company. Hitting center of mass on steel 60% body targets anywhere from 20 to 100yds with ease. Extremely quiet product out of my 11.5″ 5.56 SBR w/Coastal Guns XDS 5.56 suppressor, fun round to shoot. Decent price, worth it for the quality, performance, and speciality of the product. this ammo shoots and cycles well. Priced well. Arrived as promised. Shot today at range and was impressed , sounds equal / less than a pellet gun. 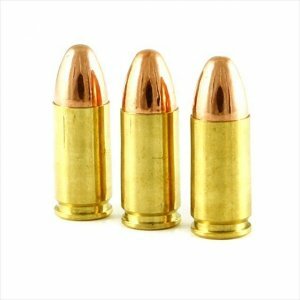 Quality good and will continue to purchase from this site…..
Mini 14 with GMT-556QM, is truly a delight to shoot with these rounds. I recommend it. So after some searching I found Detroit Ammo and I couldn’t be happier. The price is the best out there and the quality is too notch. The shipping was super fast and delivered on the expected date. I can say I will be coming back. Thanks for great service. I tried these out of a Troy pump action rifle with my AAC 556-SD can. It was amazing! I wish I could post a video. Fast shipping! Good people! These have a noise level of an airgun! My SCAR 17 lkes them. Turn gas block off adverse and use a suppressor. Tested these on some homemade Jello gell. They Tumble within 2-3″ in producing a large wound channel. Yes, I was’nt using true ballistic gell but I have taken a few rabbits on the first shot. Great product! Super quiet, consistent accuracy, a little on the pricy side. Just shot 30 rounds thru swr specwar today. Made less noise than a pellet gun. Truly great stuff. I just got back from the range and I thought I’d share my experience with subsonic 223. I chrono’d them at about 15 feet. Rifle was an AR-15 with a 16″ barrel 1/9 twist.